Leave it to certified genius Lin-Manuel Miranda to continue re-vamping the lyrics to his Tony-touting tuner. 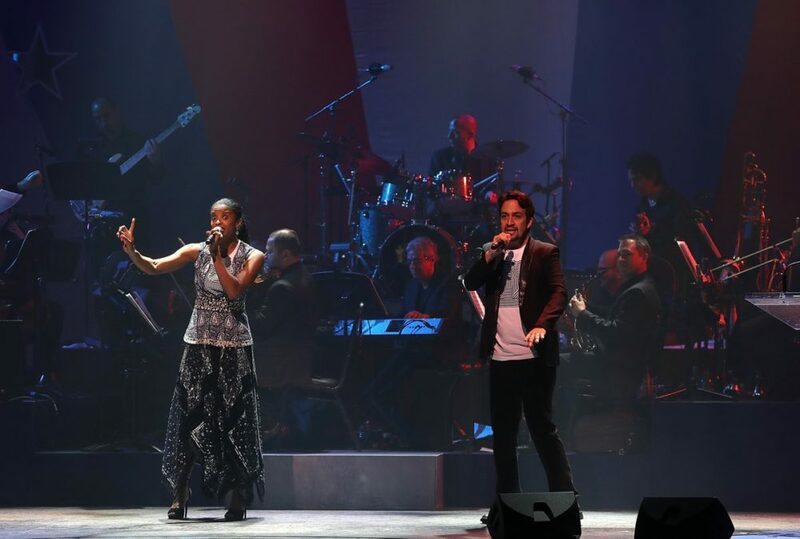 The Hamilton mastermind took the St. James Theatre stage with Tony-winning Schuyler Sister Renée Elise Goldsberry on October 17 during Hillary Clinton's "Stronger Together" Broadway fundraiser. The two rapped out the intro to the "The World Was Wide Enough," laying out Ten Voting Commandments in support of Democratic presidential candidate Hillary Clinton. Watch them rock rap the vote below!